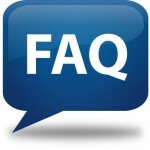 The CEO at the Mic » Blog Archive » FAQ: What should I know about my audience? FAQ: What should I know about my audience? My more serious answer is: when you’re preparing a speech, it’s not enough to write carefully crafted sentences and phrases, or to present elegantly worded talking points. A successful speech is one that engages the audience. To do that, you must discover what audience members are most concerned about. What is worrying them? What are their hopes? What are they curious or confused about? Sometimes, when a CEO is addressing his or her organization’s employees for example, that kind of research is fairly easy. (Although CEOs have been known to ignore their employees’ concerns. They are usually not around too long.) In other cases, you simply have to do the research. When I have a client who is speaking to large meeting, for example, I’ve found that the meeting organizer is an invaluable asset. Get in touch with him or her and ask lots of questions about who exactly will be in the audience, what they’re probably thinking about, what speakers they have heard in the past (or have heard earlier in the meeting), etc. And then go online to research the sponsoring organization, check recent news stories, and social media. Anything that will help you understand the folks who will be listening to you is valuable. Remember: A generic speech given to a unique audience is almost always a speech that fails. This entry was posted on Tuesday, August 12th, 2014 at 8:28 am and is filed under CEO speeches, FAQs, Presentation Tips, Q&A. You can follow any responses to this entry through the RSS 2.0 feed. You can leave a response, or trackback from your own site.